Much of the history and evolution of Flamenco art has been investigated and kept for posterity by the inspired dedication of such as Fernando el de Triana, Donn E. Pohren (American guitarist who wrote two magnificent books on history of Flamenco), Rafael López Calles, Ricardo Molina, Julian Permantín, Fernando Quiñanos, José-Carlos de Luna (author of "Gitanos de la Bética" the definitive authority on the Spanish gypsies), A. de Larrea Palacín and other authors. It would be impossible to name all of them but to them all we owe a glimpse of what is still considered the obscure history of Flamenco art. Flamenco, as applied to song, dance, music, and art has escaped the most sincere attempts at definitions and its origins in time have disappeared due to the fact that when a significant event happened in history, there was not always a handy photographer or a writer with vision enough to immortalize the moment especially when photography was not invented yet and humble beginnings seldom forecast their glorious futures. Etymology very often comes to the rescue, but its findings serve only as hints to the origin of the word and sometimes they are actually misleading by the improper use of phonetic roots. Thus we find that with the word Flamenco all definitions and theories vary with the originator and reflect the weaknesses or bias of the definer or theorizer. No doubt, Andalucia is the birthplace of Flamenco art and music, and even though here and there influence of other regions of Spain are noticed, their influences are absorbed and metamorphosed and Flamenco remains untouched and characteristically native of the Southern region. Now let us review a particular period of Spanish history. Charles I, King of Spain, who was also Charles V of Germany, was born in Ghent, in the part of Flanders now called Belgium and received a Flemish educa­tion. His father Philip I, the Handsome, from Bruges, capital of the West Flanders province, north-western Belgium, was King of Spain for less than a month before his death, and the founder of the Hapsburg dynasty in Spain. His mother was Joan of Castille (Joan the Mad), daughter of Ferdinand II, the Catholic, of Aragon and Isabella I, the Catholic, of Castille. Thus, Charles inherited Aragón and Castille, from his maternal grand­parents and Austria and Burgundy from his paternal grandparents. He then became the most powerful sovereign of Europe. Castille and Leon now consoli­dated the Iberian Peninsula, and Spain also included the American Colonies and the countries of the Low Lands (the "Paises Bajos"). This power awakened the fear and the enmity of the other European countries especially France and England. One might ask “what does all this have to do with Flamenco music?” The answer is that here we find the origin of the name and the confusion of calling Andalusian music Flemish (Flamenco) and of atributing it to the gypsies, or hypothetical gypsies supposed to have followed the king from Flanders (Belgium), without regard to the fact that the music of the Low Lands does not show traces of ever having sounded like Andalusian music. The reign of the emperor was a continuous fight, not only with the other European powers but also internally. Trouble in Castille came as a protest against foreign governors, protest which Charles suppressed imposing his absolute power. As part of the activities of the Court, formed by the Spanish nobility, to ingratiate himself and his government in the eyes of his Court and the people, and, at the same time, charmed by the folkloric music native of the Southern region, the emperor had gypsy families and local talent hired to perform and organize festivals to entertain him and the Court, and this entertainment con­sisted of Andalusian folksongs and dances. These gypsies and entertainers were looked down upon by the people as betrayers of the common hate and hostility towards the Royal house and were given the name of Flamencos. The Spanish gypsies never called themselves Flamencos which in the beginning was offensive. The word Flamenco (Flemish) meant, and still means, of, or pertaining to Flanders, but in its limited meaning, at that point in time, became an appellative of contempt, and as a word of insult became associated with the gypsies and non gypsies who fraternized, or so it seemed to the public at large, with the Flemish foreigners. The Andalusian music, songs, and dances, when sung and performed by the gypsies, and non-gypsy artists, for the Spanish Court, came to be called Flamenco music, songs, and dances. 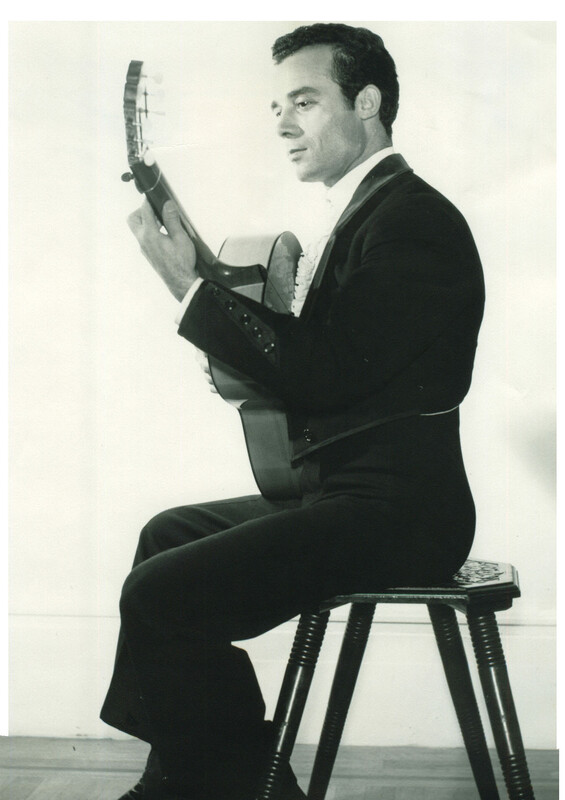 However, with time, and as fame of the Andalusian folk music spread out as propagated by the gypsies and non-gypsy writers and composers, the word Flamenco acquired prestige and a new meaning and became synonymous with Andalusian folk music. Occasionally the word Flamenco has been used as an expression of excellence in the performance of an Andalusian dance or song, like the word "shibui" is used in Japanese art as something having "shibui" meaning that it has achieved perfection to a fine point. In the times of Lope de Vega y Carpio, an unexcelled prolific writer of the Golden Age of the Spanish literature, there was a popular expression throughout Spain to express excellence in anything from a dress or suit style, to a dish taste, from the charm of a beauty spot in the face of a young woman to a quick and smart remark in repartee: "Eso es muy Lope!" ("That is very Lope!") in the same sense of "That is tops!" or "Way out!". The word Flamenco in one of its usages has also been applied to indicate excellence in a particular expression of Spanish artistry and charm such as, "Eso es muy Flamenco!" (That is very Flamenco!). This has been applied to the arrogant and head-high posture of the bullfighter in the ring, from which posture some would like to derive Flamenco from the name of the flamingo bird which in Spanish is the same (Flamenco). It has been applied as well to the seating posture of a Flamenco guitarist in Spain, feet together with the face of the player and the guitar towards the audience and to a melodic phrase, may be with an Arabesque fleurish, played at a level of perfection in its expressive mixture of freedom and timing which a connoisseur senses in a well executed Andalusian "falseta" in the guitar. Even though the origin of the word Flamenco as applied to Andalusian folk music may be dated to the beginning of the sixteenth century when performed by the gypsies for the Court of the first Hapsburgs in the Spanish Royal family, the music itself does not date from that time and is not the exclusive property of the gypsies. Spanish music of the southern region had already a reputation in the time of the Caesars when bands of performers were brought to Rome from Gades (Cádiz), Malaca (Málaga), Pontus Magnus (which the Arabs named María Albatrari, "Mirror of the Sea" and became Almería) and Carteya (ancient Spanish city in the Bay of Algeciras which was near the present San Rogue and which the Arabs called Cartayena, and then became Cartagena). Even then, the music, songs, and dances for the entertainment of the Caesars was already a developed product of a rich past and must have shown evidences of this development to be elected among others to satisfy the demands of the opulence of those times. The Iberian Peninsula has evidences of its artistic temperament going back even to its paleolitic past as recorded in some of its caves. In the caves of Cogull, Lérida, there is a painting of a group of women dancing around the figure of a man and where there is dancing there is, at least, rhythm keeping and singing. Cádiz itself was old when the Romans conquered it. It had formed part of the Kingdom of Tarshish in Southern Spain which had written laws and poems that were old then, and had already been visited by the Phoenicians(1100 B.C.) who established themselves in the island of San Sebastian to the west of the actual Cádiz and later founded Hispalis (now Seville). From about this time (800 B.C.) date the travels by the Iberians and Celts of Tarshish from Cádiz to the American Continent followed by Basques, Phoeni­cians, Lybians, and Egyptians as corroborated by the investigations of the Harvard professor from New Zealand, Berry Fell. When Tsor (Greek Tyros, modern Tyre Arabic Biblical sür) main Phoenicia (modern Lebanon, Syria, Israel) was conquered Assirians, Babylonians and Macedonians, Phoenicians Gades (Cádiz) Hispalis (Seville) were substituted in their commercial treatises by Phocean Greeks, ancient Ionian city west Asia Minor on Aegean (7th and 6th centuries B.C.) until end of the Tartessian Kingdom under Carthaginean dominance. Then came the Romans who conquered Cádiz in 206 A.D. In the 5th century it fell to the Vandals (from which the name Vandalucía and then Andalucía) and successively to the Visigoths, the Byzantines and again to the Visigoths. It fell under the Moslem influence in 711 with the battle of Guadalete until Cádiz was reconquered in 1329. When in 1492 Christian Spain was consoli­dated with the surrender of Granada by the Moslems and colonization of America was started Cádiz took again the commercial monopoly away from Seville. This historical sketch of Cádiz summarizes only part of the influences that affected Andalusia and its people and contributed to the maturity of what is known at the present time as Flamenco music. To these influences we have to add the two-way traffic to and from the Hispano-American countries, the absorption and transformation of the music of other regions of Spain when they are exposed to the Andalusian sun of Almería, Cádiz, Córdoba, Granada, Huelva, Jaén, Málaga, and Seville. To this add the Jewish influence which dates from the times when commerce with the Phoenicians started. The part that the gypsies play in all this has been mainly that of keepers of the tradition. They have been instrumental in keeping the tradition alive through times in which the pedantries of a pseudocultural society neglected it for the prestige of other shores. A similar thing happened when the populace of Spain saved the art of bullfighting from oblivion by taking on foot the previous pastime of noblemen on horseback, when it was forbidden by the Spanish monarch, due to the excessive number of casualties to both noblemen and horses so necessary in the wars of those times. Nowadays bullfighting on horseback still survives as "Rejonear". The Spanish gypsies have been in Spain since time immemorial and even though they share with other European gypsies a common origin in India, they seem to have passed through Syria and Egypt in their peregrinations after an intermediary sojourn in Persia after their exodus, as evidenced by references in their songs which have become traditional, to their noble pharaonic descend­ance and references to their ancestral home in Chal (Egypt). In contradiction to this the other European gypsies represented by the Hungarian and Russian gypsies, seem to be the product of different northernly migrating waves also from India. There have been visits to Spain through the Pyrenees of gypsies from other European regions but somehow they have not left cultural traces among the Spanish gypsies and there are records of their encounters in which they regarded each other with mutual suspicion. The name gypsy in England and gitano in Spain are derived from Egypt and Egipto respectively and in old Castillian, gypsies were called egiptanos (Egyptians). Their name in French is "Bohmiens" because of the mistaken notion that their origin was Bohemia; that being only an intermediary stage in their transit from India; however, the Italian name zingaro, German zigeuner, Swedish zigenare and Tsigayner in Yidish (the language derived from medieval High German, spoken by the East European Jews and which contains vocabulary borrowings from Hebrew, Russian, Polish, English, etc.) point to their derivation from Zincali or "Black men from Zend". We have also that the Egyptians were con­quered by Persia, the Land of Zend, about 600 years B.C. and that the Persians preceded the Phoenicians among the Iberians in the Iberian Peninsula. In the amalgam of silver and mercury where one metal begins and the other ends is indistinguishable and the same thing happens in the alloys of races especially in a region so heterogeneous as the Iberian Peninsula, regional differences not withstanding. It is a fallacy to consider the Spanish gypsies, the Spanish Jews, and the Spanish Moors as non Spaniards. After 800 years, with its so many generations born, rooted, and dying in the Peninsula instead of speaking of the expulsion of the Arabs from Spain we should talk of the expulsion of the Spanish Moslems by the Spanish Christians; and if we consider the inception of the gypsies in Spain with the Persians on their way from India, and the inception of the Jews in the Peninsula from the Phoenicians, both long before the Christian Era, or more than 2,000 years before the consolidation of Spain, we should not talk of the persecu­tion of the Jews and the gypsies by the Spaniards but of the persecution of the Spanish gypsies and the Spanish Jews by the Spanish Christians, all of them Spaniards, even though this persecution has been denied under the guise that nobody was persecuted and all edicts were for their own salvation and protection provided they conformed. The Oriental influences in the Spanish music do not date only from the influx of the Arabs in the peninsula but had already come although in different form with the Persians and the men of Zend, the Phoenicians, the Hebrews, the Greeks from Phocaea in Ionia; and the origins of these influences, together with the Arabian are betrayed not only in the Cante Jondo but in the whole range of Flamenco music. Keepers and propagators of the tradition of the Cante Jondo concentrated often in certain centers where professional and aficionados gathered to worship with common devotion their heroes and idols and the product of their creativity, oftentimes expontaneous. Several such centers, developed in Triana, one of the barrios of Seville like the cafes "Del Burrero", "De Silverio", "De la Marina", "De San Agustín", "El Salón Filarmonico", and other Cafes' Cantantes also developed in Madrid and other cities. Eventually signs of decadence developed in these cafes and the Cante Jondo and Flamenco found other channels of expression in private gatherings for the entertainment of the affluent and from there it found its way to the stages not only of Spain but of the world.